There is a rumor about that Netanyahu will conduct a major pull out of the West Bank in anticipation of the UN declaration of a Palestinian state. I first encountered the rumor in the publication Isranet which can be found here. More and more Israelis throw up their hands and say, “we can’t fight the whole world.” There is a chilling sense that the world will accept nothing less than the creation of a Palestinian state and that Israel will have to give up much to create any sort of Palestinian state. This is true. A Palestinian state is justifiably called for and an inevitability. But more than the creation of the state Israelis must move the Palestinian identity more to the center. The Palestinians have been the subject of systematic marginalization which has made it impossible for them to coalesce into a viable political entity, and much of this marginalization is associated with settlements. Let’s take a closer look at how this works. Marginalizing another people is about the relationship between the center and the periphery and how the concept of the periphery, or margin, interacts with the center. The Palestinians live at the periphery of the environment and this informs their dualistic and contradictory identity. Thus, historically Israelis are rational and democratic and the Palestinians violent; Israelis were modern, Palestinians traditional; Israelis future looking, Palestinians backward looking. The Palestinians have been socialized at the margins. They have been told that they are politically, culturally, and economically behind or lagging or outside the mainstream. The language of marginality depends on comparisons of the center to the margins. The difference between the physician and the quack or the polite drinker and the drunk is a matter of centrality and marginality where the image of each contains qualities of the other. And so it is between the Palestinian and the Israeli, the oriental and the occidental, the primitive and the modern. The efforts of a nation-state to achieve cohesion or a sense of a “center” are an effort to achieve unity as a nation. The current conflict between Israeli-Jews and Palestinians is defined by arguments over control of space. This intractable conflict is fraught with dangers and marginalized identities are characteristic of these intractable conflicts. Read more about intractable conflicts here. The language of marginality relies on creating power by consigning one group to the marginal and the other to the more powerful center. The Palestinian Arab is not only marginalized through the normal power relationship but this is reflected in settlements where settlers have created a dominant unified center for themselves and work to marginalize the Palestinians. The local Palestinians are twice alien: once within the state in which they are dominated (Israel and their settlers), and once again by the mother nation (other Palestinian Arabs). The Palestinians clearly identify with the space they’re claiming for national political identity. According to Anthony Smith it is not necessary that a group even inhabit a space, only that they have the collective identification with the space. Essentially, the Israelis and the Palestinians are competing to construct the identity of the same space. As Smith explains with respect to the establishment of nation states, identities and cultures become politicized in order to create differences that justify claims to the land. The power to rule is based not on tribal or personal loyalties but on a fixed territorial space. Settlers who define the land as “sacred” are politicizing the land in order to create national ideologies that justify a national identity and claim to a territory. The Palestinians must do the same before they can establish a central political identity. The rhetorical battles between the Israelis and the Palestinians group around the question: who arrived first? The ideological clashes that emerge from the politicization of these discourses provide the legitimacy for acts of violence. It is interesting how national rhetorics mirror one another. One argument used to marginalize the Palestinians is that they historically did not place great importance on the land, that is, their ideas about the land were indistinct. Only after the Israelis arrived, the story goes, did the Palestinian land identity evolve, and it took particular shape after 1948 and 1967 and the idea of a Palestinian state began to arise. Interestingly, the Israelis fashion a favorable history by accusing the Palestinians of constructing history. They go on to claim that it is the Palestinian elite who are most responsible for devising a Palestinian ethnopolitical identity and giving it intellectual justification. It was the Palestinian elite who, for example, sought to shore up the importance of Jerusalem when for Muslims Jerusalem was less important than Mecca and Medina. The Israelis, then, began to delineate whole areas of land between the Egyptian and Lebanese border, and Jordan to the East, and claimed it as “Jewish” on the grounds that the Jews were there in previous centuries and driven away but are the original inhabitants of the region. 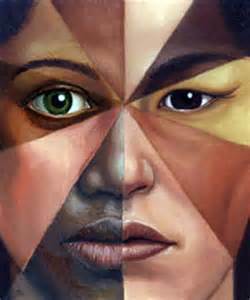 All other ethnic categories are regarded as intruders. This primordial claim to the land makes it easy to classify others as marginal. To legitimize the right to exist in all of greater Israel settlers needed to establish their descent from ancient Israel and frame the claim as culturally, scientifically, and religiously true. Settler communication activates a pattern of thinking, a pattern that is social and marks objects such as land and geography as central or marginal thereby giving them symbolic power in society. The Palestinians have been behind in the language of centrality game, although they have made significant progress in recent years. Still, it will be interesting to watch the interplay of identities, and the competition for centrality, that emerges during a new political order that includes a recognized Palestinian political entity. But it is still true that the settlers remain at the “center” of this controversy. The word is that the Palestinian Authority with the help of the UN General Assembly will unilaterally declare a Palestinian state next September. Such a declaration is not new. A statement of Palestinian independence has been endorsed by the majority of the General Assembly and received the support of many countries throughout the world. The Palestinians will do this through a United Nations legislative procedure called “uniting for peace.” Briefly, uniting for peace is a procedural rule that allows the General Assembly to maintain peace when the Security Council fails to do so. A single vote on the Security Council can prevent the passage of legislation or recommendations and this is often frustrating to the General Assembly. Hence, in the 1950s the General Assembly approved a procedure that allowed them to consider a matter when there was a threat to peace. Consequently, they can “unite for peace” and take necessary action. A brief video explanation helps explain the issue. This procedure has been used a number of times (Korean War, 1950; Suez crisis, 1956; Afghanistan, 1980) just to name a few and has been used before with respect to Middle East issues. The circumstances of each case are of course different with some more justified than others, but the Palestinian attempt to use the procedure to declare a state is certainly a unique application. If the resolution passes the General Assembly, and it will quite easily, it will have only recommendatory powers, and would not be binding. It would not have the power to alter the legal status of the relationship between Israel and Palestine. Then why is this a bad idea? First, UN resolution 242 and 338 require the parties themselves to reach agreement and recognize boundaries. This is a key issue in successful negotiations. A durable and stable peace will only emerge as a result of genuine negotiations and conclusions which are authentically satisfying to each party. The basis of the entire peace process is in jeopardy by voiding resolution 242 and forcing a state declaration from the outside. Twenty years of discussions and agreements between the parties will be undermined. One might suggest that 20 years of failure is just the reason for the declaration but that would be too simplistic of a conclusion. Many of the documents, agreements, studies, and memoranda developed between the Israelis and the Palestinians are necessary for continuing negotiations. Second, if resolutions 242 and 338 become so easy to bypass than this has consequences for future negotiations between Israel and other states in the region such as Syria and Lebanon. The Security Council will lose credibility and their resolutions will be considered voidable. Every country that has been involved in negotiations – Egypt, Jordan, the US, Russia – will be undermined. Why would any state commit time and resources when a UN resolution could render them unreliable? Highly contested areas like Jerusalem will remain in legal and national limbo. Israel has been prevented from establishing Jerusalem, for example, as its capital. They have been thwarted at every turn in preventing embassies and diplomatic missions from locating in Jerusalem. Now, just like that, the Palestinians can declare Jerusalem as their capital? All sorts of territory, including Jerusalem, has been the subject of commitments and agreements. How is it that all of these discussions can now simply dissipate and assume that a United Nations declaration has solved the problem. Third, how does such a resolution from the General Assembly do anything but inflame problems with respect to the status of refugees and the right of return? It is well known that resolution 242 requires a “just” solution to the refugee problem. A solution can only be just if it is accepted by the competing parties, not imposed on them. The refugee problem has implications for Jordan as well as Israel and Palestine and it seems as though they are being ignored here. Fourth, the Oslo Accords were some of the most specific to manage temporary arrangements between Israel and Palestine. These accords call for a negotiated solution to problems relating to refugees, settlements, security, borders, and holy sites. The key term here is negotiated. The peace process is highly dependent on negotiated agreements; in other words, agreements whose outcomes are based on mutual consent and joint agreement. A General Assembly resolution, of which there are dozens of them condemning Israel, is of very limited credibility to the Israelis and will carry little weight. Finally, it isn’t even clear what will be included in the declaration. Does the declaration of the Palestinian state include Gaza and Hamas? This is troublesome and not even acceptable to the Palestinian Authority let alone to Israel. It seems increasingly apparent that the UN move is designed to garner sympathy and increase international recognition of the Palestinian Authority. We should keep in mind, however, that under certain conditions the declaration of a Palestinian state will be welcome. Many feel as if the Palestinians truly want to delegitimize and destroy Israel, but if they are willing to declare a state on what is about 20% of what might be considered original Palestinian territory (depending on whose maps you are using) then shouldn’t we consider this good news. The establishment and development of a Palestinian state as currently defined by its relationship with Israel in fact recognizes and legitimizes Israel. But still, many in the foreign-policy business hold firm in their demands that the parties settle their differences, not the United Nations. Palestinian leaders should think carefully about how to proceed on this matter. They have little to gain from symbolic international stunts, but much to gain from the outcome of thorough negotiations. Comments Off on Am I Naïve about Communication and Political Conflict?